It’s official! “Málaga is the most complete tourist destination” | Marbella Marbella – Adelante! Confirming today what the world already knows, Málaga – Capital of the Costa del Sol – is crowned ‘all-round holiday destination’ by members of the public asked why they’re visiting the city by Spain’s television news channel, Noticias Cuatro. Introducing its coverage stating tourism’s vital importance to the whole country, Cuatro claim Málaga has weathered the financial storm and is generating plenty of work, welcoming the city’s promising start to a great summer as its tourist offer “grows more complete by the day” with “always something to offer” as millions of national and international visitors start pouring in to experience its gastronomy, culture and leisure pursuits. 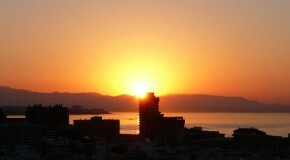 Málaga’s visitor numbers jumped a healthy 12% in just the first three months of 2012. Translated by Chris Dove from Noticias Cuatro, 26/5/12, http://www.cuatro.com/noticias-cuatro/en-directo/noticias-cuatro-fds/Noticias_Cuatro_Fin_de_Semana-Marta_Reyero-Miguel_Angel_Oliver_3_1621067894.html, time scroll to 09:00. Next live broadcast 20:00, 26/5/12.